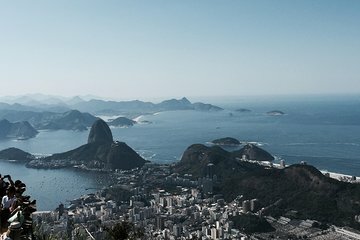 Esta excursão matutina segue direto para o Cristo Redentor para levar aquelas fotos raras e sem multidões. Sergio is an itelligent, funy and attentive guide. After a tour with him you will have seen all the „must see” things in Rio. Highly recommended! I had the time of my life on this tour. Sergio was a great guide, the group was small - 7 people, we have covered all that was promised in the programme and had a fantastic time. After reading precious reviews, I was not sure whether I will want to have lunch at the suggested restaurant as some people said it was expensive, but the place where we went was good - I paid less than 15 EUR for a buffet style lunch and a bottle of coke, which wasn't bad at all. The lunch included unlimited Brazilian barbeque made in front of you - so it was definitely worth it the money. Thank you Sergio and Flavio the driver! 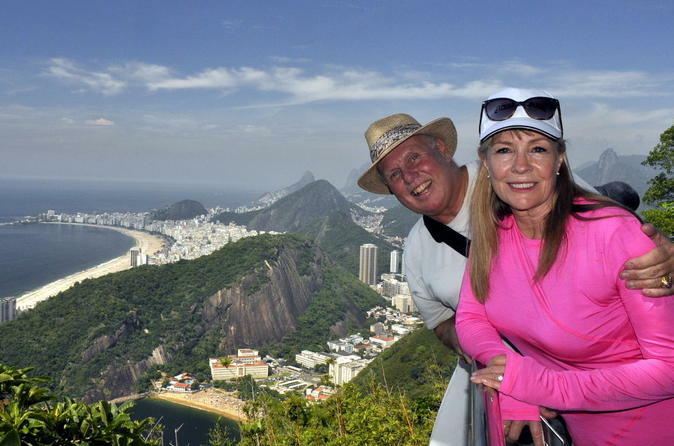 Experienced the perfect one day tour in Rio...the attractions where amazing, the views stunning, and Sergio and Flavio were perfect tour guides for these experiences. I had fun and learned so much more about Rio, the people, culture, and traditions! Thank you!!! This is a must do tour!!! Katía,our guide, was very attentive. I realize it was Carnival time but most of the sites we were supposed to visit were missed! It would have been nice to have more commentary during the city tour! Instructions weren’t very clear as to what was and wasn’t included. Several items listed as not included were actually included for some people and not others. I enjoyed the tour overall. I would have liked more details about the city while we were driving through the city. Driver and guide excellent. Got to see all the sites despite the carnival crowds. Guide full of information and tips .